Microsoft leads the OS market as it is a leader in both client and server OS sub-segments. However, Gartner says that Mac OS is the fastest growing operating system in the Client segment and Linux is the fastest growing in the Server segment, with Red Hat dominating the Linux market. Microsoft leads the server OS market with 48.5% market share followed by Linux at 16.9%. 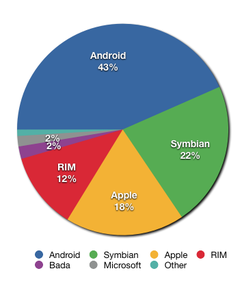 On the other hand UNIX has 38% share but it is dying as a server operating system. Industry experts say that the phenomenon shows that the market has accepted Linux as a viable alternative to UNIX in mission critical environments. It is good to hear that Linux is growing at an 18% growth rate with a 20% share of the server OS segment. How is Intel promoting Core?